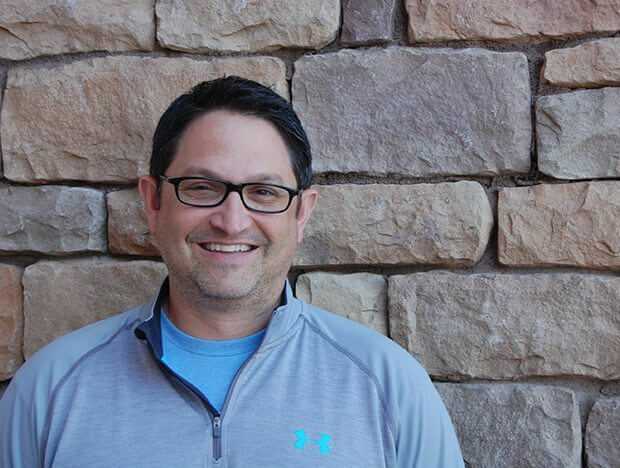 Kevin has 3 years of senior church leadership experience at Lakeside Christian Church in Lakeside Park, KY (just across the river from Cincinnati) where he currently serves as Executive Director, Ministry Support. Prior to joining the church world, Kevin worked in corporate business and IT in both small companies and a Fortune 5 company. Intentional Churches is honored to be installing an Intentional GrowthPlan at Lakeside Christian Church in March of this year. IC: Tell us how your years of experience in the corporate world prepared you for serving churches. K: I think it’s actually fairly basic stuff, like having a sense of urgency to get things done. Being in higher pressure environments tends to make you get more effective and efficient, out of survival. I picked up several methodologies and techniques over the years to be just plain more productive with one’s time and therefore move the mission forward. As Seth Godin says, at some point you just have to ship something. With churches working towards more Kingdom Impact, it usually boils down to some key tasks they need to focus on in order to move forward. Being able to build a team and move them towards completing an objective is not always as easy as it should be. My experience in the corporate world helps me take that sense of urgency for task-completion, or execution you might call it, seriously. IC: How has Intentional GrowthPlan training helped when it comes to the multi-site strategy at Lakeside? K: Lakeside is now beyond the first wave of multi-site and we’re settling in a bit. The first two sites were fueled by pure energy and a desire to see our church grow in the right way, a bunch of entrepreneurial spirits, and of course plenty of coffee. Now, we have a lot of lessons learned and are in a good spot to use a process like Intentional GrowthPlanning to formalize our strategy for launching future sites. IC: What have been the highs and lows of serving churches through IC and Lakeside? K: The high would have to be our first campus launch in Hebron, KY. We planted it with about a 125-person core team. At launch, we had over 900 in attendance at the first service and it is now averaging over 700 a week just at two years later. The low would have to be related to staffing and the shifting and growing pains that occur during times of fast growth. We all have different capacities and part of leadership is seeing that in others and helping them see it in themselves, and then making the decisions appropriate to the benefit of the organization. As necessary as they are; those decisions are never easy or popular. K: I honestly don’t remember the first time I heard about IC but I do remember being very intrigued. The process seemed to speak my language of planning and execution. I ultimately scheduled time with Bart Rendel, one of the founders, to do my LifePlan and IC training the same week. I have learned the importance of staying connected to the Vine. He is the source of all the energy and desire to build. It’s tempting, however, to get so involved in the work of Jesus that we forget about the Jesus of the work.